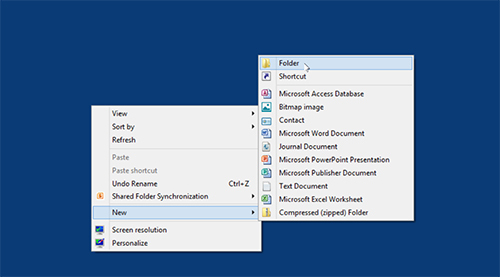 In this video tutorial we will show you how to hide folder’s name. 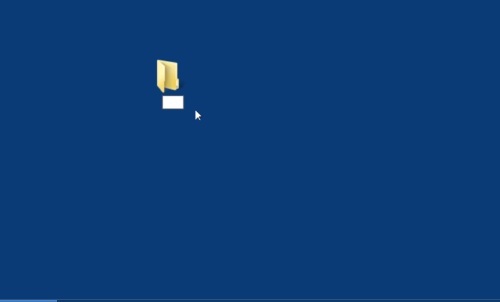 In order to hide folder’s name you must create a new folder. Right-click on the desktop. In the displayed menu choose “New”. From the next menu choose “Folder”. Select the name of the folder, press “Alt” on the keyboard. Holding the key, enter the command “0160″ on the numlock keyboard. Then release “Alt” and press “Enter”. The name of the folder has been sucessfully hidden.